Aside from an ensemble of wrap dresses, basket bags, and sandals, SPF is one thing I'm never without during summertime (or any season, for that matter). And as the impending warmer days get closer and closer, I wanted to tell you about one of my favourite French brands, Avene, which is about to launch one of the best sunscreen/BB hybrids of 2018, in my humble opinion. If you're still searching for a facial formula that isn't thick, sticky, or leaves a horrible white cast, your search ends here. 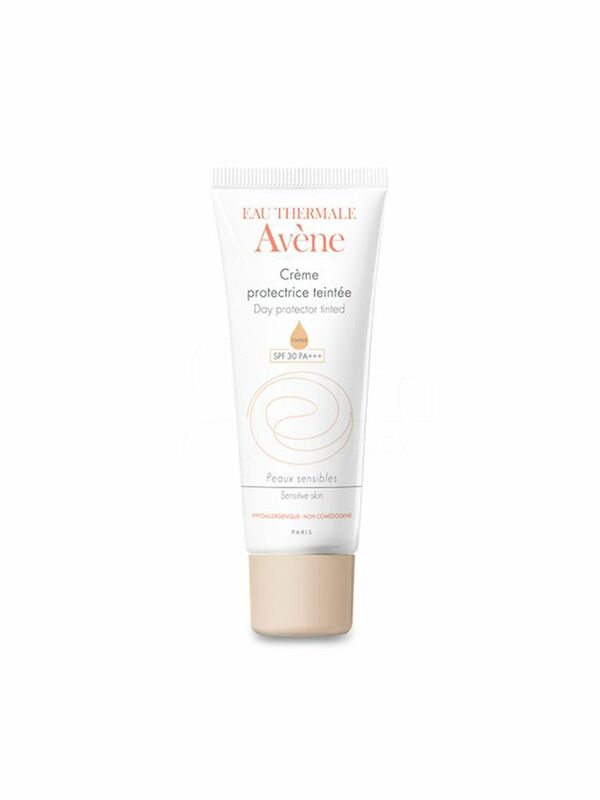 Keep scrolling for my thoughts on Avene Day Protector Tinted. Usually, universal shades like this one can feel a little chalky on my olive skin (and I'm imagining it's the same for those with deeper colouring, and those with fair skin types can struggle here too). But this product is different. Call it magic, call it damn good chemisty, but this BB cream literally melts into skin like butter. The tint is sheer, so it gives just a hint of radiance without leaving me looking "done". I think the natural mineral pigments are the secret here. Its SPF factor of 30 makes it ace for sunny days. Not to mention its beautifully hydrating formula that leaves skin dewy, but not greasy. It's also lightweight, doesn't have a strong perfume, and won't clog pores. Summer beauty goals, right? This one launches on February 19, so might I suggest clearing your lunch break for a Priceline dash that day? I think it's going to be huge.